That was exciting. Only in the last race of the season in Montreal the Brazilian, Lucas di Grassi won the championship 2017 in the FIA Formula-E. The former Formula 1 driver, Jean-Éric Vergne won the day’s victory. Formula E is a racing series for Formula cars with electric motors. At the race end of July, Bayferrox was also present. 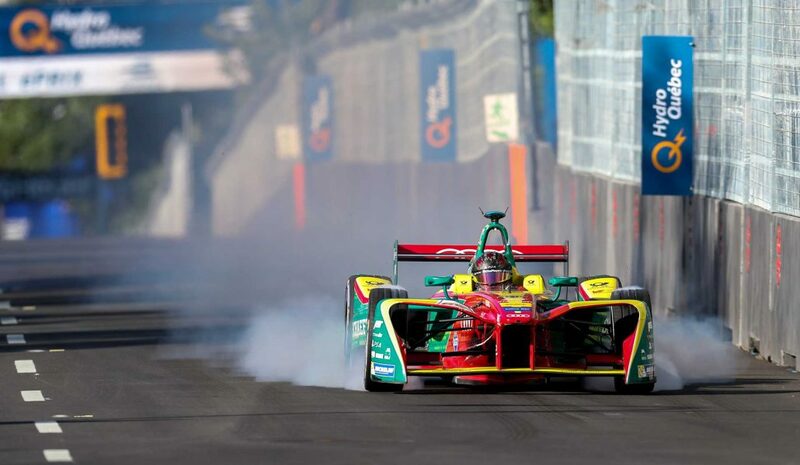 The inorganic pigments from global specialty chemicals company LANXESS brought color to the race course at the Hydro-Québec Montréal ePrix. The Inorganic Pigments (IPG) business unit supplied nearly 37 metric tons of charcoal-colored Bayferrox 340 pigments to Canadian pre-cast concrete producer Beton Brunet based in Salaberry-de-Valleyfield, Québec, for the construction of 5.5 kilometers of concrete barriers that lined both sides of the 2.75 kilometer race course. 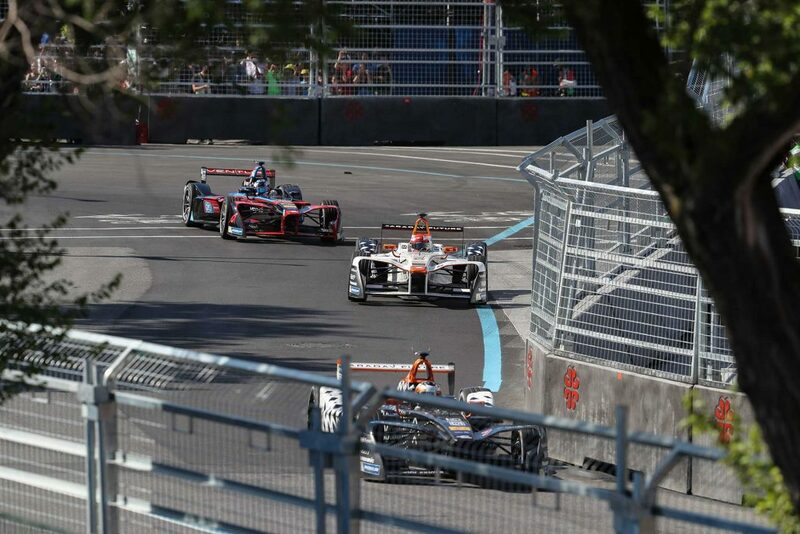 The race in Montréal was the last of the FIA Formula E circuit 2017’s third season that began in Hong Kong and toured eight other cities, including Buenos Aires, Mexico City, Paris, Berlin and New York. 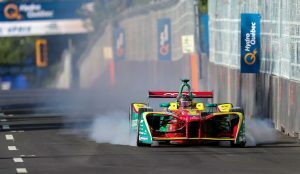 In motor sport, Formula E is a “sports platform for sustainability”. 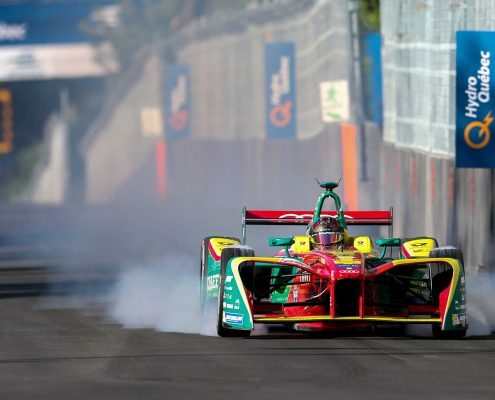 Formula E uses city streets for the race course. The concrete barriers used to block off the course and separate the crowds from the raceway were specially designed and constructed for the event at twice the size of standard barriers, and were adorned with Montréal’s city logo, adding aesthetic appeal. 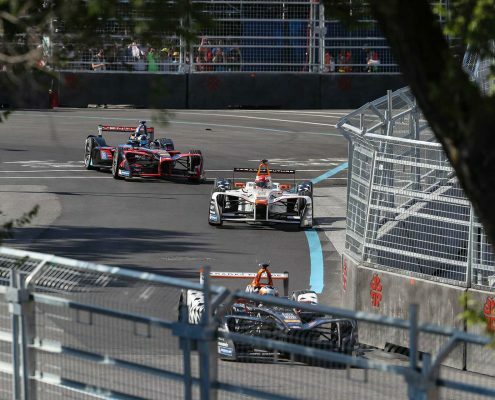 “We were delighted about this exciting project, especially as sustainability is a great priority in Formula E,” said Lise Charron, Account Manager North America for the IPG business unit based in Montréal. “The theme of sustainability that this whole project is about is a great fit, as it aligns with many of the values of our business. The Bayferrox pigments used in the project are Recycled Content Certified by SCS Global Services. The Recycled Content Certification confirms that pigments contained recycled iron oxide content from pre-consumer sources. SCS Global Services is one of the leading companies for third-party environmental sustainability certifications and has been certifying Bayferrox pigments since 2013.” The barriers were engineered to last and be re-used for several more seasons, as Montreal has signed a three-year contract to host the race. LANXESS is the world’s largest manufacturer of iron oxide pigments and a leading producer of chrome oxide pigments. Both pigment types have proven effective for decades in a wide variety of applications for coloring building materials, paints and coatings as well as plastics and paper.